'Operation Delirium:' Psychochemicals And Cold War In his article for The New Yorker, journalist Raffi Khatchadourian tells the story of a secret program that tested nerve gas, LSD and other drugs on 5,000 American soldiers throughout the 1950s and '60s. 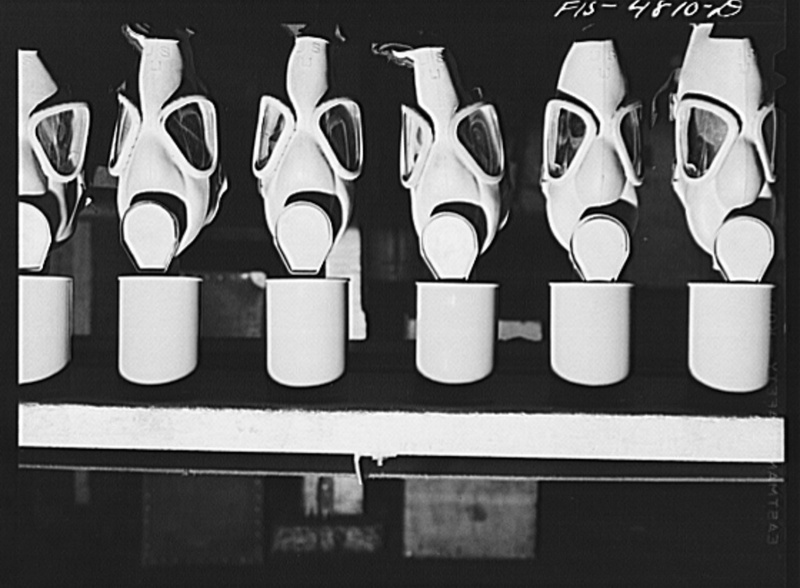 These gas masks were reconditioned at the Edgewood Arsenal for civilian defense use during World War II. Later, in the 1950s and '60s, the arsenal near the Chesapeake Bay was used for secret chemical weapons testing run by the U.S. Army. 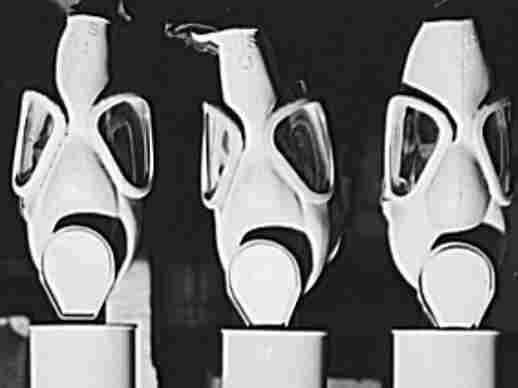 In the latest issue of The New Yorker, journalist Raffi Khatchadourian writes about a secret chemical weapons testing program run by the U.S. Army during the Cold War. Throughout the 1950s and '60s, at the now-crumbling Edgewood Arsenal by the Chesapeake Bay in Maryland, military doctors tested the effects of nerve gas, LSD and other drugs on 5,000 U.S. soldiers to gauge the effects on their brain and behavior. "People who were getting sarin, people who were getting other nerve agents that the Nazis had developed, they would ... experience giddiness, lassitude, depression, and at some point, someone said, 'Can we just focus on these side effects? Can we make a weapon that will incapacitate people mentally and not kill them?' " Khatchadourian tells Fresh Air's Terry Gross. A class-action lawsuit, brought by the surviving soldiers against the federal government, goes to court next year and accuses the Army of, as Khatchadourian writes, "recklessly endanger[ing] the lives of its soldiers — naive men, mostly, who were deceived or pressured into submitting to the risky experiments." Though the soldiers did sign consent forms to participate in the experiments, they didn't know that they were being exposed to dangerous nerve gases or psychochemicals such as LSD. Some of the soldiers have suffered physical and psychological trauma since the tests. There was no followup by the Army. Khatchadourian's article, "Operation Delirium," profiles Jim Ketchum, one of the military doctors who helped lead the project. To this day, Ketchum maintains that the tests were conducted in the interest of a greater good. 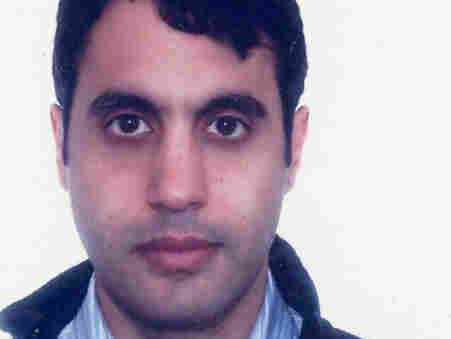 Khatchadourian calls him "an unreconstructed advocate of chemical warfare," and says that he "went about his work in the belief that chemicals are more humane instruments of warfare than bullets and shrapnel." Khatchadourian asks in the piece, "Were the human experiments [at Edgewood] a Dachau-like horror, or were they sound and necessary science?" "It sends the subject into a state of delirium. ... It causes the person to jolt from one reality to the next, and the illusions are extremely vivid. The person is in the moment and not even aware that a drug experience is occurring. Animals might appear, disappear. They might see miniature people; they might think that they're smoking a cigarette [or] eating a ham sandwich when they have a shoe in their hands." "This man, it was determined, had gotten a fairly high dose of LSD. He was taken back to the padded ward, and [was] studied and [was] asked to do tests, but he got very aggravated; and they asked him to start doing math problems, and it felt to him that the pencil that he was using had turned into rubber; and he said, 'I can't do it.' He started becoming paranoid, and he thought the doctors were laughing at him, and he eventually grew violent and punched one of the doctors out." "And the Army responded in an interesting way ... [On] the one hand, Van Sim, who was heading the program at that time, felt discomfort about initiating trials with groups of people right away because he said ... '[The] effects of LSD are not really that well understood.' ... He felt that would be foolhardy to do that. "At the same time, people at Edgewood looked at the drug and what they were trying to do, and they said, 'You know, the LSD experience is so subjective that if we inform people about it too much, it will blur or it will confuse the results; and so ... we want to at least give the drugs to some people who don't really know what its effects are or will be.' And they made good on that promise, and they started doing that." "One of the early films that Jim Ketchum made was called "The Longest Weekend," and it was meant to demonstrate how BZ could render a unit ineffective. And so what they created was this fake communications outpost that was entirely self-sufficient. There was enough food in there — clothes, toilet, a medicine cabinet — for four men to stay in there for three days. "And three soldiers were given BZ, and there was one who was not given BZ as a placebo, and one of the soldiers who was given an incapacitating dose, which was the highest dose — a dose that would be enough to render that person completely ineffective. ... And they installed cameras, and they watched these people function as [the doctors] gave them messages to interpret, and encoded codes, and other things and fake scenarios — [for example] a train is going to come by the post with chemical weapons, it might be attacked. In fact, the experience took so long that they had to improvise as they went along ... because they were running out of script."